Flybikes have brought Ruben “Rubio” Rodriguez back to the team after a few years where he was taking a break. Here’s Rubio’s welcome video that’s packed with style from trails and street sessions around Tenerife to bring the news! Hit play and enjoy! “There’s more than one Ruben that has been apart of the Flybikes family for years. After a little hiatus, we’re excited to announce that Ruben “Rubio” Rodriguez is back on Flybikes! Rubio, who hails from the island of Tenerife, has always been the kind of rider that brings his laid back style to everything he touches, from street spots to trails and transitions, and that’s what makes his riding so good. No trends, just doing what he likes to do! To celebrate, Rubio went out and did what he does best for this welcome video! Enjoy! Flybikes have given Sem Kok the bump on up to their Pro team! We’ve been seeing Sem’s name pop up more and more over the last two or so years, and it’s easy to see why Flybikes gave him the bump up. Sem brings a ton of speed and style to everything he rides. Here’s his welcome video where he tells his story to give you a better idea of just where he came from! “When it comes to the Flybikes Pro team, we are very selective of just who we add and it’s not something we just offer to any rider that is the flavor of the week. We take a family approach to every rider we pick. Over the past two years that Sem Kok has rode for Flybikes through Rock N Roll Distribution, he has put in some serious work and miles in that time, bringing his speed and style to everything he touches from transitions to trails and street spots during laid back sessions to contests like the Vans BMX Pro Cup. We’ve watched Sem continue to push his limits and represent everything we are about here at Flybikes. We’re very excited to announce that we have added him to our Pro team, and that means he’ll be able to take his talent even further. Although many of you might be familiar with Sem by now, here’s his welcome video that tells more of his story of how he got to where he is today, along with plenty of amazing riding! 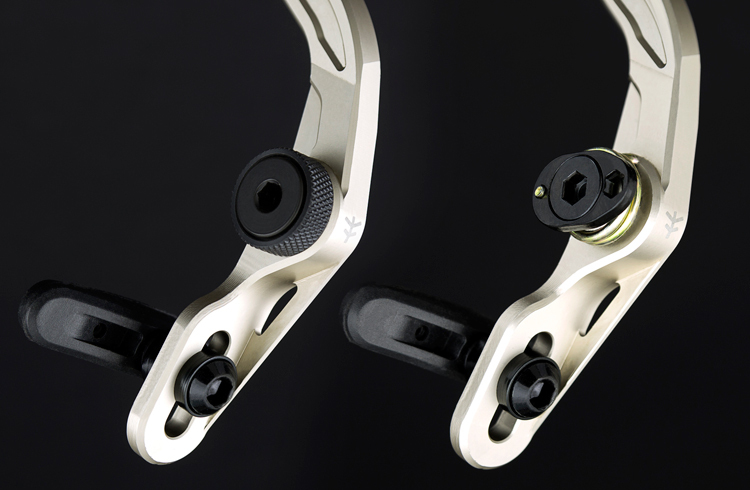 Here’s a little sneak peek that Flybikes have released for all the brake lovers out there. 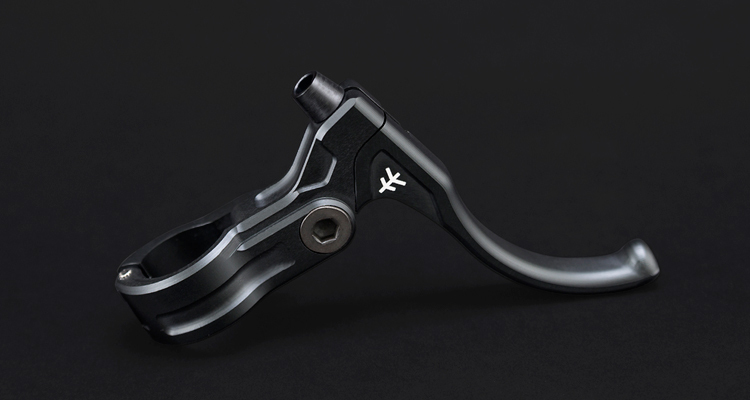 For their 20th anniversary, they are bringing back a new and improved version of their popular CNC brake lever. The new Manual CNC brake lever is based around the original, with a few tweaks to give it a cleaner look and an upgrade to IGUS bushings to completely eliminate wobble. It looks like the lever will be available this summer and come in two colors; Flat Black and Fog Titanium. Better yet, there’s also a new CNC brake that will be dropping at the same time. More details on that coming soon. Until then, get a little more info below and a look at the Fog Titanium color and a drawing with details. “There is no better time than our 20th anniversary to bring our very popular CNC lever back to life, now packed some new improvements. The Manual CNC lever comes with improved machined details and smoother edges on some critical areas without compromising the CNC look. The previous version came with oversized brass bushings that reduced wobble and on this one we have gone one step further. We are now using the super smooth and strong IGUS bushings that not only reduces the wobble, but totally eliminates it! We are so excited to release the best performing Flybikes lever to date. Over the weekend Rock N Roll Distribution teamed up with Samcity Skatepark to do a launch party for the 2019 Flybikes line! Courage Adams and Sem Kok came out for the session and good times. Here’s a highlight video filled with riding that went down between Courage, Sem and a ton of locals that turned out! This is what a good time looks like! “Samcity x Flybikes release jam was too much fun! People went IN during the best trick contest, Courage Adams & Sem Kok came over for the event, and there was a showroom filled with the brand new Flybikes 2019 completes! Check the after movie here. 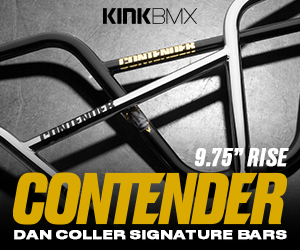 Got hyped to ride the skatepark or to ride a Flybikes BMX? Pitu is back on Flybikes! As some of you have heard by now, Flybikes have been celebrating their 20th anniversary and they have been making some real interesting moves. Last week it was announced Kevin Porter was back on Flybikes, then they announced that the Magneto cassette hub was coming, now it looks like Pitu is back on the team! Here’s his welcome back video, along with a look at his new setup! “We are excited to announce that Alejandro “Pitu” Alcojor is back on Flybikes! Pitu was a huge part of Flybikes early on, and it’s great to have him back on a Flybikes setup as we are celebrating our 20th anniversary! Here’s his official welcome video, along with a look at his brand new 2019 Sierra setup that he’s riding! As always, Pitu brings endless amounts of style! If you followed the Vans BMX Pro Cup or watched the Battle of Hastings contest last year, there’s a good chance you probably saw Sem Kok‘s name pop up. Last year the guy was seriously popping up everywhere and he seemed to come out of nowhere. Either way, Sem goes fast and big with a ton of style! It looks like he dialed in a brand new Flybikes setup for 2019 and it’s looking damn good. You can check out a full bike check with a bunch of photos and a full parts list over on the Flybikes website now! Here’s a little news that a few of you have been waiting on for… a decade. Flybikes have announced that their Magneto Cassette hub will be finally dropping this summer! Now, I know a bunch of you are going to say “I’ve heard all this before…” which is a pretty understandable response. It was set to release a few times and it hasn’t happened. This time around is a little different. I spoke with Flybikes owner David, and this time around it’s not a joke… Infact, it’s currently in production! There were a lot of setbacks from having to find the perfect manufacturer (this hub won’t be made in Taiwan) and they ended up changing manufacturers a handful of times in the process. Along with that, they’ve put a TON of time into testing to ensure there weren’t going to be flaws with the design. No specifics of what’s going on internally yet, BUT full details will be coming very soon. We do know that it will be available in left and right hand drive with 9 and 10-tooth drivers, though! We will keep you posted as soon as we know more! Hey, if the Cyclops stem can happen, there’s no reason to give up hope on this one!